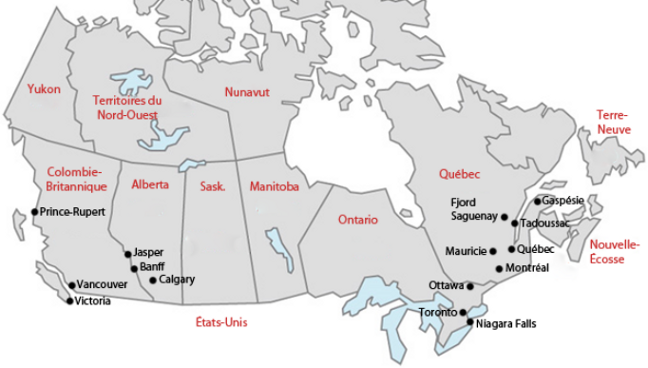 This map shows Canada's main tourist destinations. Click on the following links to order road maps or to download maps in pdf format that you can print yourself. Where should I park in the city? When should I book my RV? What is the best time for an RV vacation in Canada? Should I reserve the campgrounds ahead of time? What is the minimum age for renting an RV? Do I need a special driver's license to rent an RV in Canada?